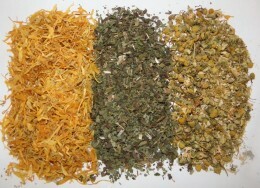 Bulk tea is a great way to make herbal teas. Making a medicinal tea from bulk herbs is easy, and once your hooked, you’ll never go back to store bought bagged teas. Bagged teas don’t have the same punch medicinally, as bulk herbs. First, pick your herb or herbs. There are so many of them, and you can buy different herbs and make your own mix. You will need a strainer, or a tea press. Using one tablespoon of herb is usually the norm. If it’s a blend tea, you’ll still only use that amount. If you are using a tea press, add tea to press. Heat water to just about the boiling point. Now, the pour the water over the herb. Cover with plate to keep in essential oils, and let stand anywhere from 5 -15 minutes to allow the water to soak up the herb. The longer it steeps, the stronger it will be, of course. If you are using a strainer, place strainer on top of mug. Add your tea to the strainer. Pour hot water over the herb. Again, cover to keep all the properties of the herb in your cup. Let tea steep in strainer. Lift the cover off the cup. Now, take the strainer out of the cup and discard spent tea. You can add this to your compost bucket. The also sell tea balls that are used for making bulk tea. Fill the tea ball with your favorite herb, and place into warmed mug. Pour hot water over the tea ball. Allow your tea ball to rest at the bottom of the cup for about 10 minutes. Sweeten your tea with honey, stevia, or your favorite sweetener, or drink it just like it is. Drink and enjoy.